A couple of things I love about my G1 is that I have been using it as a training aid. It’s really great. I use it as a stop watch. The two apps I use the most for training are CardioTrainer and StreamFurious. CardioTrainer is really slick. You can choose your various types of workouts, have it report back to you your intervals and pace. It will overlay your route on Google Maps and when done give you stats like elevation, overall pace, etc. Then it will upload your route to their website and if you were so inclined, it will put it on your Facebook profile. Now, while I am running, I could be listening to my mp3’s but what I love to listen to is streaming audio from the web. Specifically, I enjoy listening to Radio Paradise via Stream Furious. You can listen to RP using just about any computer audio player, and on a wide variety of other devices, including iPhones, Blackberrys and Windows smartphones. You don’t need to register with us in order to listen, and we don’t charge subscription fees — even for our highest-fidelity streams.Speaking of high fidelity, we pride ourselves on providing some of the best-sounding audio you’ll hear anywhere. Try one of our high quality streams (192k MP3 or 128k AAC) on a good pair of headphones or a decent audio system. We think you’ll be impressed. Several of the world’s most respected audio engineers and producers have given RP’s audio quality an enthusiastic thumbs-up. How do we do all of this without charging subscription fees or inflicting advertising on you? The key is in those two words underneath our name at the top of the page. We do our very best to keep you entertained, and if we succeed we ask you to send a little support our way. Click theSupport RP link for more information on how that works. You can also send support our way by shopping at our Affiliate Merchants (Amazon, iTunes, and many more) or by buying some of our Shirts & Stuff . Thanks a bunch. Instead of using the phone’s headset, I use iPod headphones so I don’t have to have the Lose Weight Exercise of the mic bouncing around. It’s neat to realize that I have this going on my phone while I am out running. I also started using DailyMile. I used to use Gyminee, but since I started doing Crossfit, I didn’t have a great way to record my workouts in Gyminee. So now that I am running regurlary again, I plan on using DailyMile. So couple my phone with my HRM, (heart rate monitor), I got some really powerful training tools. First off, I’d to thank a lot of you… most of the traffic I get to my site comes from people looking for information on the T-Mobile Wing. I had the phone for about 1.5 years and posted all sorts of information. Most importantly, many of you posted comments and offered help and tips to myself and others, and for that I am very thankful. However, earlier in the month, my Tmobile Wing suffered a tramatic episode when all three of the children ran over it, (they were chasing eash other) and it got smooshed… really smooshed with a cracked LCD and everything. At that point, I got “executive approval” to get a new phone. My wife suggested an iPhone and I was about to pull the trigger until I heard that the T-mobile G1 was coming out on October 22. I decided to wait. I was all nervous on launch day, the 22nd. I was worried I couldn’t find one and then I read that Costco and Best Buy would also be carrying them, but it was unclear when. So after my big presentation on Wednesday moring, I drove to Costco and they had ’em. Plus, you got a free “accessory kit” which was a Jabra bluetooth headset and a car charger. Hey, it’s better than nothing. I LOVE this phone. I’m not going to rehash all the reason why I like it, there are a ton of other people who give it a thumbs up, but I am really impressed with it. And there’s been no shortage of coverage and it looks like everyone is on the same page. Over at the Download Sqaud, they have some great pieces about the first hands on with the G1 and a good post about Twitteroid, (which I haven’t installed yet since the offical release comes out Monday). Lifehacker has a hands on post. Gizmodo has a Android App Marathon and a category to get you going. Walt Mossberg also seems to think the T-Mobile G1 is worthy. Btw, Walt is awesome. I will say that I enjoy this phone way more than my T-mobile Wing. To be fair, I did not have a data plan with my Wing since I used Wifi with it so maybe that’s not a fair comparison. But I do like the seemless Gmail integration. Google Maps: This is totally awesome. You can do “street view” with the GPS and enable “compass mode.” This is too hard to explain in text but if you see it, it will blow you away. Barcode reader: Yeah, yeah… I know the iPhone has this too, but I think it is really neat. Web browser: The web browser is better than ANY WM-base browser I’ve seen, including Opera-mini. I’m still playing with it and rumor has it a slew of new app will hit the market place on Monday. Expect way more to come. 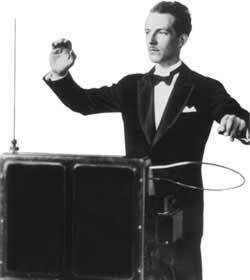 Holy geez, I wan to build a theremin something fierce. I have ALWAYS been fascinated by this. I also want to build my own RDS-TMC traffic receiver. It can’t be that hard. Probably the hardest part is finding the right parts.